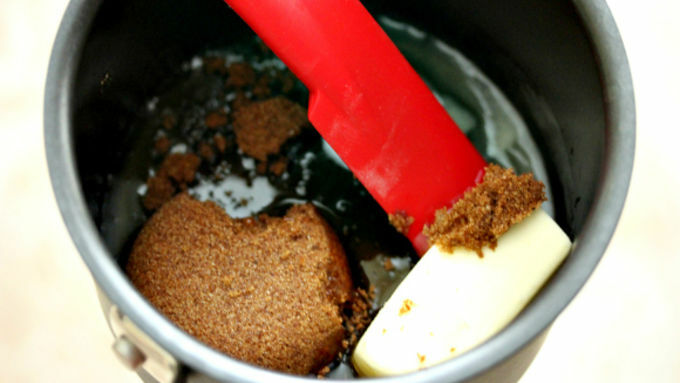 In a small pot, melt butter, honey and dark brown sugar together until bubbles form around the edges. Pour in the vanilla extract and cook for two minutes longer. 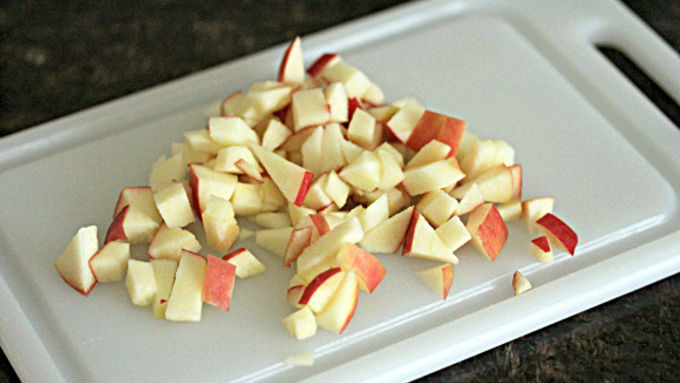 Cut half an apple into small cubes and set aside. In a large bowl, combine the oats and rice cereal. 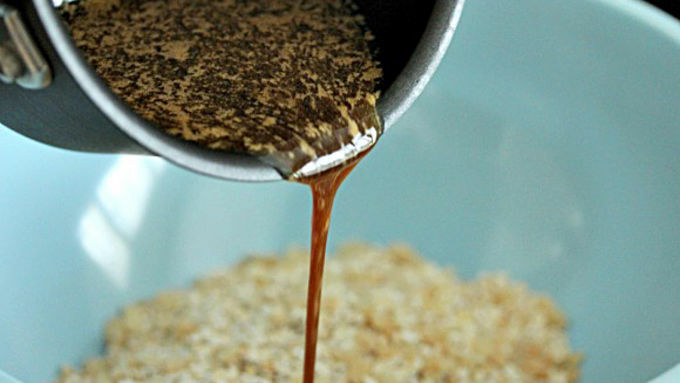 When the honey butter mixture is done, pour it over the bowl of oats and rice cereal. Add in the apple cubes and mix thoroughly. Pour mixture onto a jelly roll pan but use only one side of the pan. Flatten the mixture to one side of the pan. This will make the bars thick. 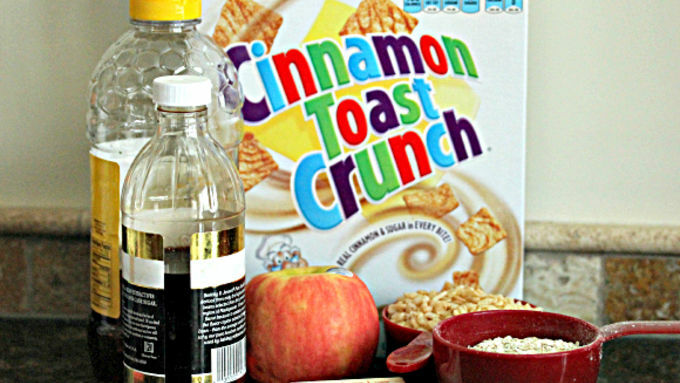 Sprinkle Cinnamon Toast Crunch™ cereal on top and gently press them into the tops of the bars. Pop in fridge for 30 minutes before cutting into bars. Cracking open the books always seems to give me the munchies. Back to school means the return of homework and projects. The best part of working on homework has to be study breaks. Study breaks are awesome because you can recharge and then really tackle those assignments. Granola bars make a great study break snack and it's easy to make your own. Apple Crunch Granola Bars are fun to make (super easy and quick) and delicious to eat. 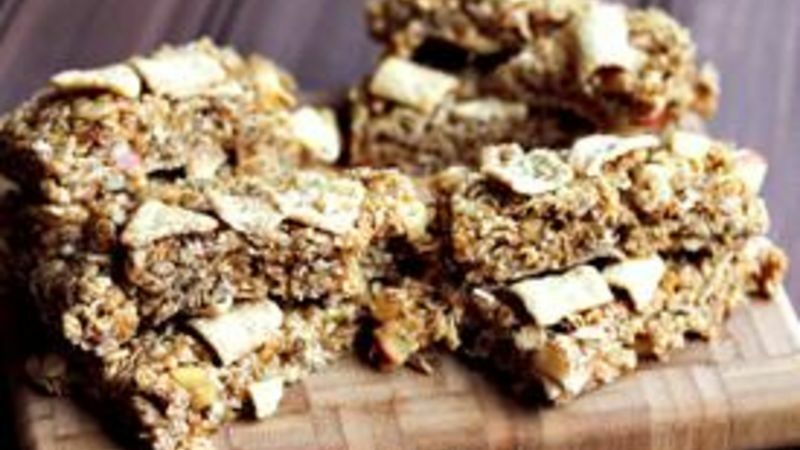 They've got a lot of yummy ingredients, such as apples and Cinnamon Toast Crunch, packed into these bars.